Welcome to the long-overdue guide for leather power belts. If you’re currently in the market for a new belt then you’ve come to the right place. I’ll be going over some of the top leather power belt options, and a couple of the better budget belts as well. What I’ll basically be doing in this guide is giving the big pros and cons of each belt option, offering up some feedback based on both my experiences and the opinions of others, and of course listing those prices. I’m also going to include links to some additional resources in case you want to check those out. Since this is just a break down of your belt options rather than a discussion of the merits of using a belt, I won’t be entering into the debate of when to wear a belt or even if you should wear a belt. There is already a ton of that out there. I will however point you in the direction of some of those discussions towards the bottom of the guide just in case you’re interested. The majority of the belt manufacturers listed here offer belts in both the 10 mm and 13 mm varieties, as well as the option of both single prong and double prong. However, they don’t all offer lever belts. In order to simplify the process of comparing belts from these different manufacturers, I will only be comparing the 10 mm thick, 10 cm tall, single-prong variations of their belts. This is the most common and frequently used belt configuration, so this should be adequate for the majority. Not looking for a 10 mm belt? You should still find the information provided here very helpful even if you are looking for belt of a different variety (13 mm vs 10 mm, lever vs prong) from one of these brands. You can generally expect the level of craftsmanship and the quality of the materials to be the same among the different belts from the same manufacturer. * These belts are offered with a lever in addition to prongs. 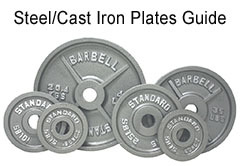 † On the International Powerlifting Federation (IPF) approved equipment list. If you’ve been strength training for any length of time, then you know of the Inzer Forever Belt. 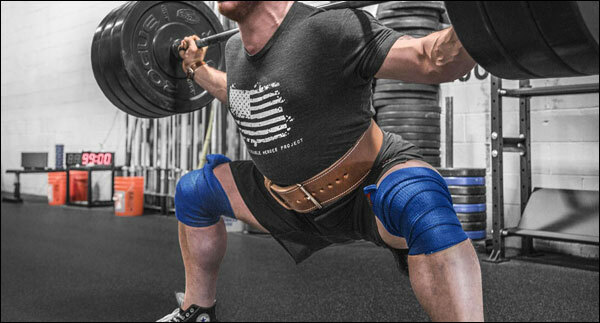 This is easily the most talked about and commonly praised lifting belt on the market. Search Google or YouTube for Inzer Forever reviews and you’ll be amazed at how many you find, and they are all quite positive. Yeah the reviews are borderline cultish, but the fact is that you can’t have sold that many belts and gotten that much positive feedback without producing a solid product. Inzer does a couple special things with their belts that make them so durable. For starters, they use giant, over-sized rivets that will never come out, and smooth spinning, seamless steel rollers in their prong belts. Also, all of their belts have extra rows of stitching that help maintain adhesion between the inner hide and the outer layers of suede. These things are put together really well. I’ve yet to hear of one falling apart regardless of age. Inzer doesn’t custom size, but they have a ton of size options without a bunch of overlap, and this definitely makes choosing your size much easier than with some of the cheaper belt options that only have a few size options. As you know, when there aren’t enough size options for all the different possible body types, the unlucky few that don’t fit into those few default sizes end up using holes too far from the middle of the belt to allow for any weight gain/loss, and that’s not good. The only drawback to ordering an Inzer is the mysteriousness of when your belt will show up. Lead time for an Inzer belt in any color other than black is about four weeks, and they don’t give shipping notification yet (they’re working on it.) Currently, you just place your order and then sit back and relax; your belt will just show up one day. It”ll be a surprise! Full disclosure, most custom belts take a long time to receive so this isn’t an issue exclusive to Inzer or anything like that. It’s worth noting that Inzer belts are tough to break in. The reason for this is a filler layer of hard leather wedged between the inner suede layer and the core hide. It’s basically like rigid cardboard that never becomes pliable. This is a not a positive feature of these belts. 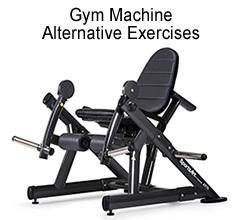 Pros: Reasonable pricing, levers available, 21 suede color choices, lifetime warranty, refined edges, lots of easily accessible user feedback and reviews, IPF approved, made in USA. Cons: Mysterious (and very long) lead times, limited customization options beyond colors, belts don’t ever break in or become supple, you’re in a cult. 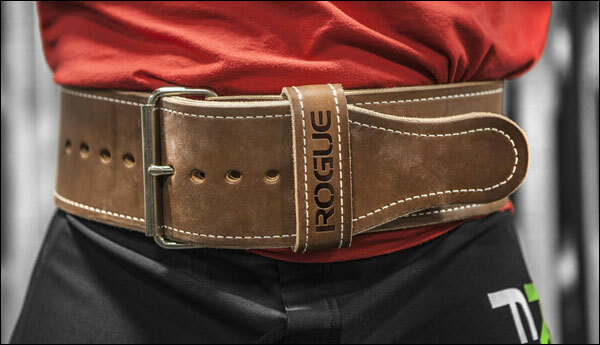 Rogue’s Ohio Lifting Belt is a hand-crafted, 10 mm x 4-inch, leather lifting belt. The leather used for this belt is vegetable tanned, which is basically a very traditional, environmentally-friendly tanning method that produces a very durable, water-resistant (& anti-bacterial) hide that is not only super strong, but is much softer right out of the box; which means it requires less break-in time. The Ohio Belt is an great looking piece of gear. It offers good support, the craftsmanship is just obvious, and the classic tan color gives it a very rugged, utilitarian look. The $108 price tag is on the high side when compared a lot of the suede-lined belts out there, but not only is this a Rogue Fitness product, the vegetable tanning is a more time consuming and costly process, and that no doubt contributes to the higher cost as well. On site reviews for the Ohio Belt are outstanding; a solid 5-stars with over 115 reviews and counting, not to mention tons of positive feedback to be found elsewhere. However, while I can’t imagine ever having an issue with this belt, there is no mention of warranty on either the product page or under Rogue’s Warranty section. That’s rather disappointing being that lifetime warranties are offered on other belts. If you prefer a classic, natural looking leather belt over a hot pink or sky blue suede belt, or if you just want a durable, high-quality belt without having to wait weeks or months to get it and more weeks or months to break it in, the Rogue Ohio Belt may just be the belt for you. Personally I think it’s flashy in it’s own right, and I’m glad someone out there still makes an “old school” belt like this. Pros: High-quality leather, natural tanning process, classic look, already broken in, made in USA. Cons: Expensive, no custom options, limited sizes, no warranty, not IPF approved. Easily the best starting price for a high-quality suede 10 mm lifting belt is for the GL Pioneer Double Suede Powerlifting Belt. At $74.95, this belt is made by hand using all USA-sourced materials, and is warranted for life. The inner hide is vegetable tanned sole leather, and the outer layers are high-quality garment suede with as many color options as you can imagine. You also get your choice of single prong or double prong. What really sets these guys apart from the other brands is the number of customizations that you can choose from. You can add embroidered lettering to the back of the belt or to the belt hoop in the front. You can also change the color of the stitching, add black edging, change the buckle or hardware color, and even have the inner suede colored. Of course these options will cost extra, but being able to personalize is a nice touch. Pioneer belts are the most comfortable custom suede belts on the market. They have zero filler layers so the are supple right out of the box – almost no break in time. The downside to the Pioneer Belts is that they are not certified by the IPF. This likely will not be a problem for the majority of you, but it will be for some of you so it warrants mentioning. Other than that, this company and their belts are top-shelf. You can’t do better for the price – period. 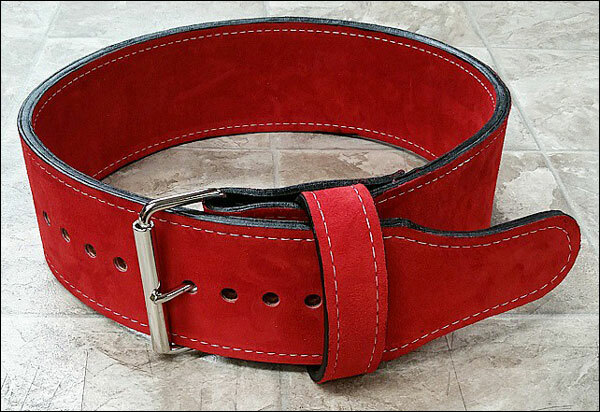 Pros: Most affordable suede single-prong belt, lifetime warranty, endless customizations, can be custom sized simply by asking, lever belts available, fast turn-around time, best customer service in the industry hands-down, made in USA. 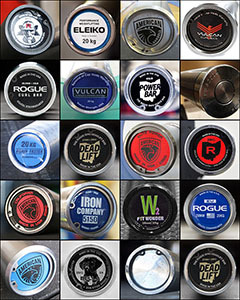 Cons: Not IPF approved, customization options are endless, as is the possible cost of the belt by taking advantage of all of these options. Titan makes a handful of economy belts and a couple high-end belts. Of the high-end belts, they have the Longhorn and the Brahma. The Longhorn is the 10 mm variation of the two, so it’s the one I’ll be talking about. The Longhorn isn’t really any more affordable than the Inzer. Matter of fact it’s a few bucks more at $94. Customization options similar to those found at General Leatherworks are also available, but you can expect your belt to take a ridiculous amount of time to show up if you go custom through Titan. Honestly I’d hit up GL if I wanted a completely custom belt. One of the most common complaints is the giant, intrusive image logos that Titan slaps on the back of their belts. They’re practically a giant advertisement, and they aren’t cute. You can work around the logo by flipping the belt if you buy a lever belt, but that won’t work if you go with prongs. Pros: Many variations ship right away, good craftsmanship, best levers in industry, lots of custom options direct from Titan, lifetime guarantee on components, IPF approved, made in TEXAS. Cons: Custom options are not available through re-sellers, custom options take forever, intrusive logos on rear of belts. 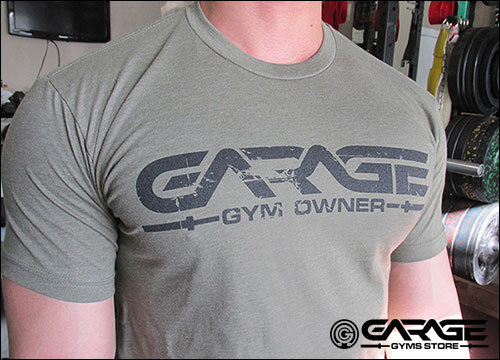 BTW: This is not the same company as the cheap Rogue knock-off company, Titan Fitness. Bob’s Belts has been hand-crafting leather power belts longer than any other manufacturer I’ve covered here. Bob Morris supposedly started the 4″ leather power belt back in ’76 and has been making the very same belt (along with a variety of other belts) ever since. Each belt ordered from Bob’s is made custom based on the given measurements; they have no pre-made belts. I don’t personally have any experience with a Bob’s Belt, but the consensus seems to be that a Bob’s Belt is up there with Inzer; very high-quality and extremely durable. You’ll pay dearly for a Bob’s Belt though, and you will wait a long time to get it (they have the longest lead time in the industry), but you’ll have a belt even Louie Simmons would be proud of. The “Original” 4 inch power belt; which is the belt that is available in either a 10 or 13 mm thickness; starts at $139 and takes up to 10 weeks to receive. 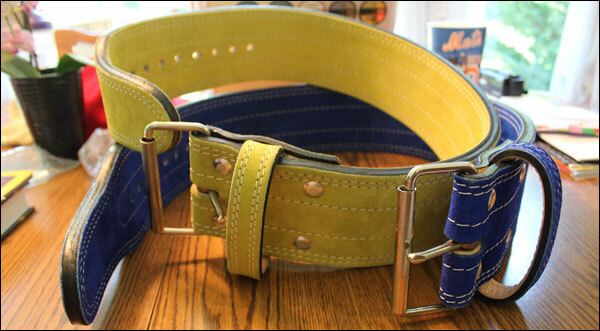 You have a bunch of color options, of course, and some options for personalizing your belt (like embroidery and color stitching), but you have no access to levers, and the belt is no longer IPF certified. If you ask me, this belt is too expensive to not be certified. I attempted to contact Bob’s Belt regarding their belts while writing this article, but I never got a response. I don’t know if that speaks to their customer service or not, but I’m certainly not impressed. Pros: High quality raw materials and final product, experienced company, lots of color and customization options, made in USA. Cons: Highest prices, longest lead time in industry, no lever belts offered, not IPF certified, customer service? The Best Belts 10 mm Athlete Belts ($110) are another high-quality custom belt option. The craftsmanship is on par with that of Inzer and Titan, but you get the added benefit of a belt that is already broken-in and ready to use when you get it – but of course you’ll pay for that in the higher price. There is an even better reason to go with Best Belts, and it has to do with sizing. When you order a belt from Best you don’t select your belt from a list of pre-existing sizes. Rather, you provide you own measurements, and they use that number to craft a belt for you. When you receive your new belt, the center hole should be where the belt fits perfectly, and since you are starting in the middle of the belt you can do some serious bulking and cutting without having to look for a new belt. Short video covering the custom sizing of Best Belts’ Athlete Power Belt. Best Belts has a turnaround time on par with Inzer; could be better, could be worse. They also don’t offer much in the way of customization either. You get about as many suede color options with a Best Belt as you do anywhere else, but no option to embroider text, change hardware colors, stitching colors, and so forth. Also, levers are not an option with Belt Belts, and that’s an obvious deal-breaker if you want a lever. I’ve heard both good things and bad things about Best Belts’ customer service. I personally was unable to get a response when I inquired with them, so I guess it’s hit or miss. Seems to be a theme in the industry to ignore potential customers. Pro: High-quality product, lots of color choices, perfect sizing, belt is already broken in, IPF certified. Cons: No lever options, long lead time, moderately expensive, limited customization, hit or miss customer service. Vulcan used to offer Pioneer belts, but recently switched to a different manufacturer. I’m not exactly sure why, but since we already have direct access to Pioneer belts I suppose it’s a good thing to have another option on the table. I own the new Vulcan Power Belts in both of the currently available colors and let me tell you, it is by far the most supple belt I own; even more so than Pioneer. It’s supportive while being comfortable, and it’s comparable to many of the super high-quality belts while costing only $79 to your door. This is a single-prong belt with six large rivets. The Vulcan logo is stamped on the outside leather layer of the belt, while the inner layer is tactile suede (for grip purposes.) I think this is a better belt than the Rogue Ohio Belt, and worth the $15 price increase (shipped) over the Echo. 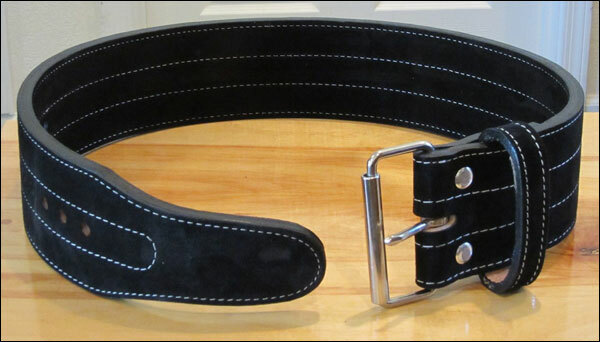 If you need a belt sooner than later, and you don’t need any customization, this is probably the belt to get. 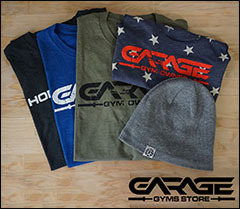 Pro: High-quality product, two color choices, perfect sizing, zero break-on time, ships immediately, lifetime warranty, great customer service. Cons: No lever options, no customization, not certified, unknown country of origin. The Echo Belt is Rogue’s economical leather belt. For only $50, you get the same reliable support as the Ohio, but you forego the beautiful tan color and white stitching in exchange for black dye and an embroidered Rogue logo. Also since the Echo is not vegetable tanned like the Ohio Belt, you get to break it in yourself. This means the belt is going to be very stiff when you get it, and fastening the belt is going to be much easier than getting it back off again; at least for a while. I see no reason not use a belt like the Echo if your budget doesn’t allow for one of the more expensive suede-lined belts or the Ohio Belt. The fact of the matter is that even some of the not-so-great leather belts out there still last for quite a while before they become too flimsy to offer meaningful support. The Echo isn’t my first choice, but it sure beats buying your belt from the sporting goods store. Pros: Affordable, completely functional, best customer service in the industry, attractive. Cons: More of a novice belt, very stiff when new, no customization whatsoever, lacks the longevity of more expensive belts, not IPF approved. There is nothing wrong with any of the belts listed here. In terms of their designed function, all of these belts will serve you well. If you want an Inzer because it’s an Inzer, then by all means you should order one; well worth the money. If you need to spend a little less cash or you need it right away, check out General Leathercraft. For the classic look of an old school leather belt, try the Ohio. I don’t think you can go wrong with any of these options. Do I have a personal preference? Yes, Pioneer. Customer service is always important, but when you are ordering a custom product like a power belt I think that it is even more important. I attempted to contact each of the above companies if I had not already done business with them before in an effort to get a feel for their customer service. Here is what I think of the customer service in the belt market. Despite plenty of feedback to the contrary, Inzer support is good. You won’t get immediate responses to emails, but when you do hear back it will be a helpful and thorough response. Sure, it’s nice to get same-day responses from companies, but that just isn’t how Inzer does things, and if you know this going in, you’ll be less annoyed. Having said that, Inzer will not provide a tracking number when your belt finally ships. Like I said before, it will literally be a surprise. Pioneer has the quickest email response time, and the responses are always thorough and helpful. These guys are definitely the winners in terms of customer service department in the belt industry. I know that bar is pretty damn low, but Pioneer rises far, far above it. They are my go-to for custom suede belts each and every time. Bob’s Belts and Best Belts both completely failed to respond to emails. They weren’t slow, they just never responded at all (even years later btw, this is still true; zero response ever.) Considering the high prices and long lead times from these two belt-makers, by adding in no customer service I have no reason to recommend them over Inzer, Pioneer, or Vulcan… so I don’t. Vulcan and Rogue are big retailers, and they both offer great customer service. Neither are belt-makers so they both outsource their belt construction, but when you need a solid belt without the lead time and you want to buy from someone you know will take care of you if you have a problem, hit these guys up. Hope this has helped. Happy training. Guide to Power Belts (article) – A very thorough guide to power belts. Discussion on leather vs velcro, picking sizes, proper use, etc. 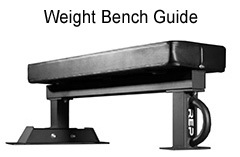 Comprehensive Guide to Lifting Belts (bodybuilding.com discussion) – A brief but well written guide on selecting belts. Pros and Cons of Wearing a Belt (article) – Breaking Muscle article on whether you should wear a belt. Why shouldn’t this “firm grip” be helpful when you use the “little brother”? Why do Rogue omit the suede if the produce the 10 mm belt? Why do Rogue omit suede when they produce the 10 mm belt? I don’t know the answer to that question, but if I had to guess I would say because either the 13 mm needed one more small layer to make it to 13 mm, or the leather used for the 10 mm already worked out too close to 10 mm to add the suede. For over $100, I don’t think that is was financially prohibitive to add suede lining to the 10 mm, so it was probably that it couldn’t be added to that style of belt using the leather that they have access to and still keep the belt at 10 mm. Again though, just speculating. Who knows why they do what they do. Did you compare the wearability of smooth leather inside with suede. Could you try out the Ohio Belt vs e.g. the Inzer Belt? Do you think suede makes an important difference in practice? John, you seem to have some really good ideas and I would agree with your assessment. I would assume that Rogue buys their leather somewhere in the 13oz -14oz range which comes out to be around 5mm-6mm thick. Note that this is a very common thickness for leather and is readily available at most tanneries in the USA. When they make their 10mm belts, I would guess, that once they glue the two pieces together, the thickness is already where they want it to be (10mm). For the 13mm belts, as John said, they need the extra “help” to get to the desired thickness which is the reason for adding suede which is approximately 1.5mm thick. I’m German. That means if I order something in the USA I hope always that I don’t have to return it. I could order the Rogue Ohio Belt in the EU-Store…. would make it easier for me and I have to pay less additional costs. But the question if and how important suede is makes me hesitate. All other major and serious manufacturer of leather weight belts are located in the USA – as far as I know. And all of them use Suede, right? In your opinion, how big is the difference between using Suede or smooth leather on the inside? As John has written the Ohio Belt got 5-stars with over 35 reviews… Right. But could they buyers compare this belt to one of those suede belts which John is presenting here? I have personally seen the Rogue Ohio Belts and I know where they are made. They are a good product and I honestly do not think you will feel a significant difference in the raw leather inside vs the suede. We sell lots of product that does not include suede on the inside and have never really had a problem. I wouldn’t hesitate to recommend a The Ohio Belt, especially if it will save you a large amount of money in shipping fees and duties. I am always suspicious when I see a company not offer a belt like the Ohio…. Makes me think they are hiding what leather they use under the suede and edge paint. That is just a conspiracy theory though lol! Thanks Matt for your honest words and for the respectful treatment of a competitor’s product. May I ask what your favorite belt would look like? In other words – which belt would you buy? Which Leather? Lever, Single or Double Prong? Thickness? I can tell you what I wear and what I recommend to almost everyone. I think the 10mm Suede belts are ideal for +90% of all lifters. They are comfortable and offer adequate support for heavy loads. I like the usability of the lever because it is easy on and off, but only if you use the belt the same tightness through all of your lifts. If you like to use your belts at different tightness, I would recommend the single prong as I believe the double prong is unnecessary. I cannot stress enough to do your research on what companies use Sole Leather Bends. My family has been doing this for 36 years and have tried all different types of leather. The sole leather is perfect for weightlifting belts. I know for sure, Bob’s, Best, Rogue, and Pioneer all use this type of leather. I cannot speak for Titan, Inzer, or any others as I do not know for sure. I forgot to mention but I know some really strong guys and WR holders that use a 10mm belt. For example, Chad Wesley Smith uses and prefers a 10mm belt over the 13mm. Thanks Matt for your advice and your commitment! Oh, I have forgotten something – could you tell me the package weight and dimensions (approximately) for e.g. 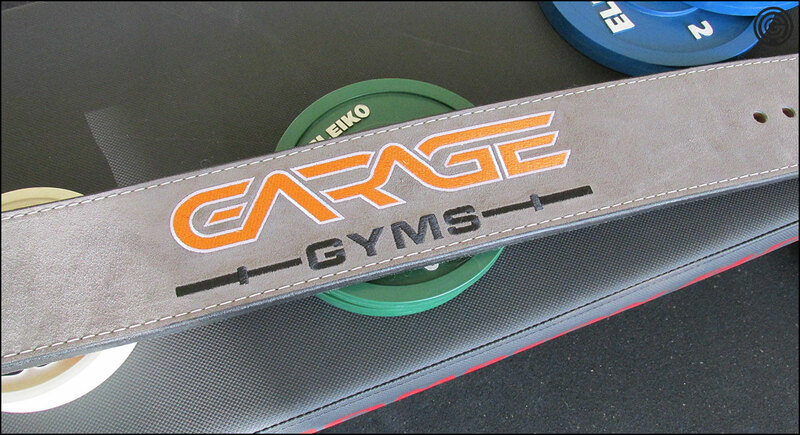 the 10mm Thick 10cm Double Suede Powerlifting Belt? If I buy in the USA I’m going to use SHIPITO.COM (USA address & mail forwarding). I made good experiences with them. The offer different parcel services and they have a Shipping calculator to estimate the shipping costs. The box dimensions are 12″x8″x6″ and the weight of the product will be approximately 3.5lbs. Our belts will ship to Germany for right around $60 via USPS Priority Mail International just for your reference. I made the same experience with the costumer service of Bob’s Belt and Best Belt. The first one answered after 3 weeks!! Best Belt responded to my request after 7 days. Bob’s Belt seems to have enough customers and money… there service is worse. To be honest – for me it was the worst experience I made in the last years. And on principle I will not buy there. Yeah it’s unfortunate. Both of these guys make nice belts. You gotta answer your emails though. People won’t sit around for weeks waiting for a response. They’ve already ordered it from someone else. We know, everybody makes mistakes. I make mistakes and I don’t have any problems if someone forgets something. And if you have a small shop/store and only family members who work there, you may not be able to react all the time in the same way. But when you realize that something went wrong you could just say sorry for responding so late…. And that’s it. Best Belt needed a week but their response was really helpful and very friendly. I guess they have a special day for answering emails (Monday). FWIW, I had a great experience with Best Belts. I filled out the contact form and the owner Dean Best called me a few days later and spent about twenty minutes on the phone with me answering my questions and helping me get just the right size. i love my belt and it fits perfectly in the middle hole. They could tighten up their response times, but I would definitely order from them again (if my belt ever wears out, haha). Yeah I suspect for every bad experience there is a good. If I thought that they were the worst and/or didn’t produce a good product, I wouldn’t have even named them here. I did want to share the information though so potential customers aren’t surprised to not hear back. Or better yet, they’ll be pleasantly surprised when they do! =p Do you remember turn around time on your belt and about how long ago you ordered it? I did some digging through my email. I ordered my belt on 11/6/14 and it was shipped out on 11/19/14. If I remember correctly, this was one to two weeks faster than what I was told to expect at the time. They definitely need to get better about replying to emails, though. I get the impression that they maybe aren’t the most tech-savvy bunch. Calling them might be the way to go for better service. Come to think of it, I think that’s how I got a response. I called and left a message and received a call back the next day. I was wrong about filling out an online form to get a call back. Oh ok, well that’s good to know. Thanks for that. Any thoughts on the Vulcan leather WL belt? I considered it at the time of writing but because of the price I opted to leave it off the post. Seemed expensive considering what you can get for under $100 if you’re willing to wait a few weeks for production. It’s probably a nice belt, just not very competitive. About a year ago I bought my brother a Metal powerlifting belt. It is not exactly 10 mm nor 13 mm (something in between). The belt is quite nice and strong, IPF certified and is one of the least expensive. It is a shame they do not longer ship to Mexico, as I wanted one for myself. Best Belts is now IPF certified also. 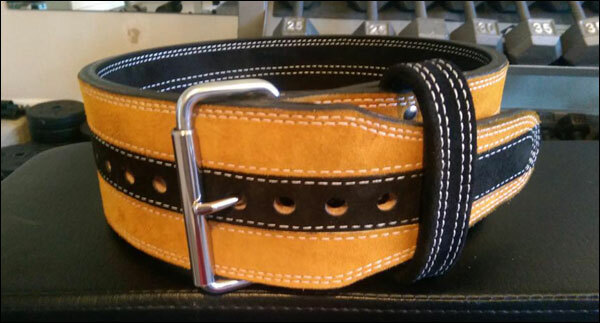 I think EliteFTS also makes some nice belts, never used one but a friend has one and loves it. I don’t have any experience with Metal, and I see they cut a lot of their gear from the IPF list for next year, but I’ll check them out. It’s weird when a company won’t ship outside of the states if the customer is willing to pay the shipping. Especially right next door in Mexico. Same continent! NAFTA! Best Belts has been on the IPF list for a while I think. I never did hear back from them lol. Do you have any info on the spacing/distance between the prong holes of the belts? That’d be very useful info on the review. My first belt was a cheap one that had very small holes and big gaps between holes that would sometimes make it hard to get a good fit as it’d either be too tight or too loose if you’re in between holes. I can tell you that on Inzer and Pioneer they are about an inch apart. I’ve been cutting down over the last couple months and have had to make adjustments with both my buckle and lever belts, and it’s been no problem with either of these two brands. I don’t think any of the better belts here have unreasonable distance between holes, I’m sure that’s exclusive to the less expensive brands. Maybe someone with a BB can comment on those. I have a single-prong best belt. Holes are about an inch apart, too. The gaps between the holes make it easy enough to fine-tune the fit and I’ve never had trouble getting the prong in the hole. Several months ago, I got down to 178lbs and had 6 holes showing on the tongue. I’ve purposefully gotten back up to 198lbs and now have 4 holes showing on the tongue. Never during my weight gain did I feel like I needed to be between holes on the belt. 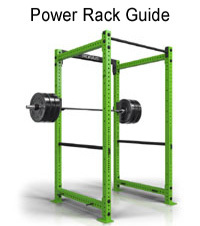 Lifting Large makes an Economy (10mm) and Competition (13mm) belt that are IPF approved for relatively cheap. Does anyone have experience with these belts? I can’t find a lot of info on Lifting Large belts. I hear that they provide excellent customer service. The owner Mike runs the store and answers emails so customer service is good. There is very limited feedback on his belts, though you can find a couple video reviews for the lever version in YouTube, but no, there isn’t much out there because Inzer is just so hyped and popular that folks rarely stray. I’m sure you could ask Mike anything – maybe even who makes his belts, and then you can look for info on that company. 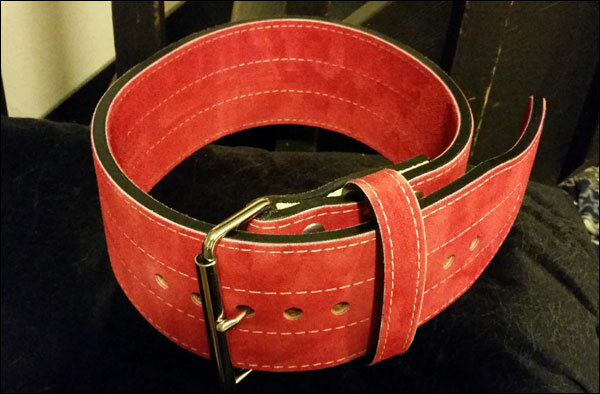 Check out General Leathercraft too – they have some economy belts, and they have a great track record. I actually use a Pioneer from GL over my Inzers the majority of the time – just a more comfortable belt. I’m a sixty year old man who has had 2 disc removed. I continue to follow Bill Pearls 20 months to a championship body. Anyway I use a cheap belt. What do you have to offer a man who wants to continue to work out, not set records. I know my back and my body feel better when I work out. What have you been using? Leather? how thick? Is there anything wrong with what you’ve been using? Just got off the phone with Dana from Best Belts. While they are unable to take orders over the phone, she did answer my questions and assist in choosing the right one. I ordered an Athlete in 10 mm. Also, they do have a few optional colors for the stitching. Turnaround time is expected to be 4 weeks. I will post a follow up once I receive the belt. Just another note that I found out while doing research on belts, the General Leather Pioneer actually can be ordered with double-stitching. See the photo of the blue belt displaying the tapered end on there website. You just have to specify it when ordering. You might want to remove that as one of the cons in your review. Looking to purchase my first leather belt. I’m still using a 2Pood met con training belt from my Crossfit days. 5’9″ and 200#. 285/425/525 currently. Signing up for my first powerlifting meet this spring just for the experience. Would love to go with a Pioneer belt because I like how responsive the owner has been on here and the customization is a big plus. However, I’m assuming I’ll need to go with Inzer due to the IPF certification. Decided not to pick up an Ohio belt on MBF for the same reason. Based on your advice looks like 10mm is the way to go although part of me always wants to go all out. Still undecided on single prong vs lever. Any advice? I use a 10 mm 100% of the time. 13 mm is just too much for me – I don’t even have the desire to break one in. I would say I prefer lever belts, but the Inzer was so much more complicated even at 10 mm to break in compared to the 10 mm Pioneer that to this day I always reach for my Pioneer… and it’s a single prong. It’s probably still worth it to break in a lever belt from scratch because the buckle of a prong belt can dig into your stomach at the bottom of a squat if you don’t have it adjusted just right, and by just right I mean both the placement of the buckle around your circumference, and in the right vertical position on your body. So yeah, if I were you I’d grab a 10 mm Inzer lever belt. Perfect. Was really hoping Pioneer was IPF certified as that looks like the best option. Not a huge deal though. Could always try to borrow a belt at the meet given that I’m not a competitive power lifter or anything but kind of silly to buy a belt I can’t use when I need it most.